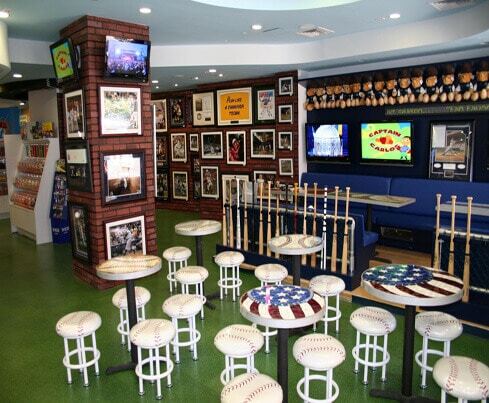 Steiner Sports Last Licks, located in the Upper East Side of Manhattan, is a Sports themed Ice Cream Parlor. 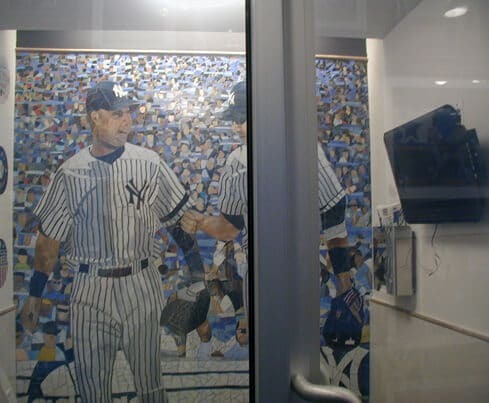 Their bathroom wall is covered with a Baseball themed mosaic which would be hidden if they used a regular wall to separate the restroom. LC Privacy Glass was the perfect solution to Last Licks problem. When the bathroom is vacant, the glass is clear, allowing the mural to be seen by the entire store. When occupied and the door is locked, the bathroom wall becomes opaque to create a private environment for use. 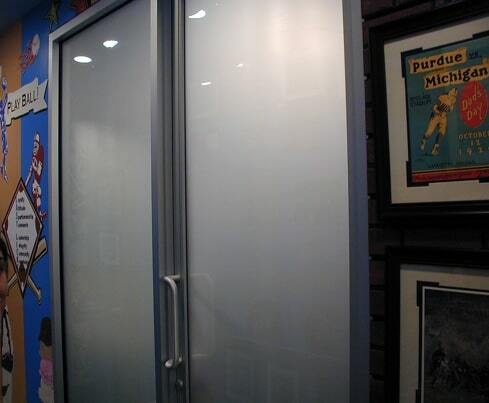 Patrons love seeing the clear glass doors fog up for instant privacy.